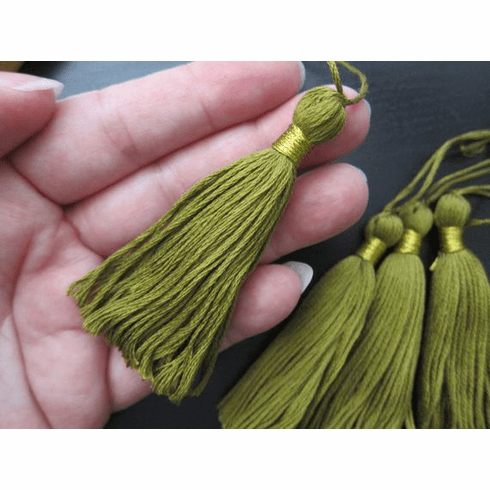 Handmade, 3-inch long Tassels, DMC Egyptian Cotton. This Tassel is made using one full skein of DMC-732 "Olive Green" and is wrapped with DMC-E3852 Gold Metallic Floss. Color, Materials: DMC-732 Olive Green and DMC-E3852 Metallic Embroidery Floss in Gold.